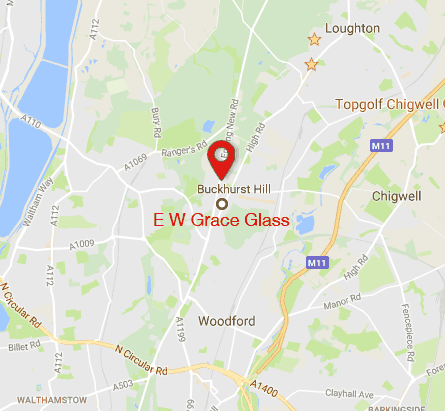 E W Grace Glass is a local, family-run team of home improvement specialists based in Buckhurst, Essex. Established in 1973, the team is headed up by husband and wife, Nicola and Martin Grace. We are proud to offer the highest quality in all glass and glazing features within the home throughout Essex, London and beyond. With over 40 years of expertise, we provide unrivalled workmanship and customer service to all our clients. E W Grace Glass is a proud member of the Veka Independent Network to ensure the highest quality products and guaranteed standards of excellent service. At E W Grace Glass, we firmly believe in a friendly, honest and simple relationship with our clients. We do not send out pushy sales representatives or offer false discounts that are just not realistic. Instead, we offer a customer-led approach that is designed to make you feel comfortable and assured that you have made the right choices for your important home improvements. Whether we are replacing a single window or carrying out a complete conservatory installation, our stress-free, friendly service remains the same. We make a point of ensuring that all our home improvements provide the highest standards of style, security and energy efficiency. Like people, no two jobs are the same and here at E W Grace Glass, we are proud to deliver a bespoke, personalized service that makes sense for your home. With a wide range of contemporary and traditional options, our products are designed to suit all aesthetical needs while also providing a host of practical advantages. With our own, skilled in-house team, you can rest assured that all the work will be carried out by us and your property will be left clean and tidy at the end of every day. Family life and routines are important to us, and we therefore guarantee minimal disruption within the home. Whether you are seeking replacement windows, a stylish orangery, or modern rooflights for you home, we provide an honest, accurate quote that covers all supply, installation and aftercare services.